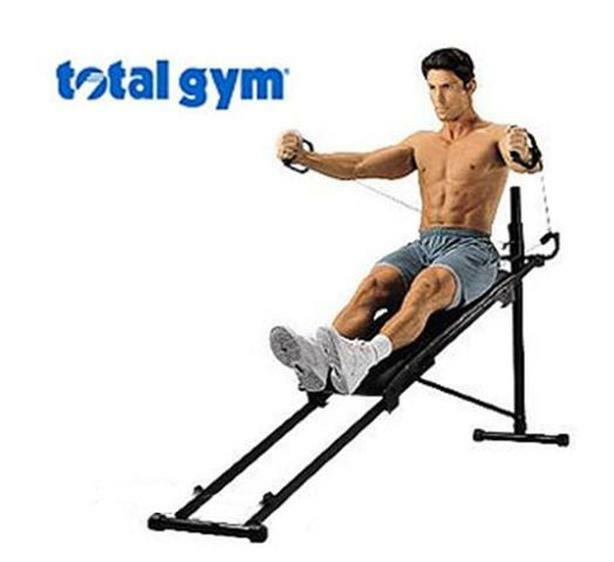 Discover how easy it is to get fit and stay in shape with the Total Gym 1000 home gym! It's an affordable fitness machine that does it all. It uses your own body weight to provide resistance and helps to tone & strengthen your major muscle groups while giving you a complete aerobic workout at the same time. Best of all, the Total Gym 1000 comes fully assembled so there's no need for complicated set-up. Whether you're a seasoned athlete or just starting out, this fitness machine is perfect for those looking to get into shape. Used, but in good condition. C/w owner's manual.